Bioderma Atoderm SOS Spray 200ml is an anti-itching care that soothes the frequent or temporary itching. It is ideal for the care of irritated, dry to very dry skins to atopic. This spray contains a technology Skin Relief (composed of Ambora extract and Green Tea) associated to a soothing dermatologic active of reference. Exonolone acts at the origin of the process. 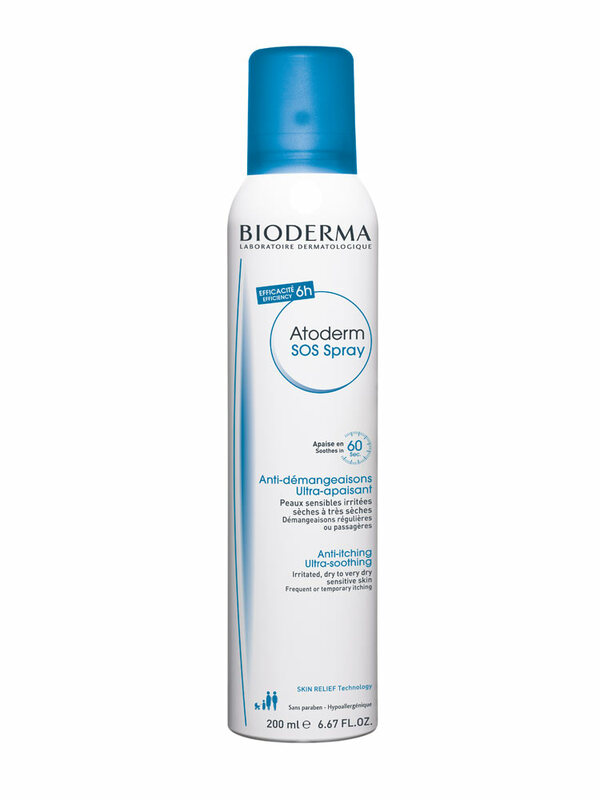 It applies as a spray and soothes the itch in just 60 seconds for effectiveness up to 6h. Its ultra-light texture of oil-emulsion provides an immediate sensation of freshness. It diffuses in form of extra-fine micro-drops which allow an homogeneous spread on the whole face and body. Its pH respects the physiological pH of the skin. Tested under dermatologic control. Suitable for the whole family: from the birth, infant, children and adults. Formulated with paraben free, fragrance free, alcohol free. Non comedogenic. Spray at 20 cm on a clean skin. Spread if necessary. Let dry. Apply as many time as necessary. Caution: This product is an aerosol. Aerosols can be shipped only to European Union Countries and Switzerland.